As well as we like to raise the awareness of IBD and related illnesses, we also like to give a voice to other very important projects. 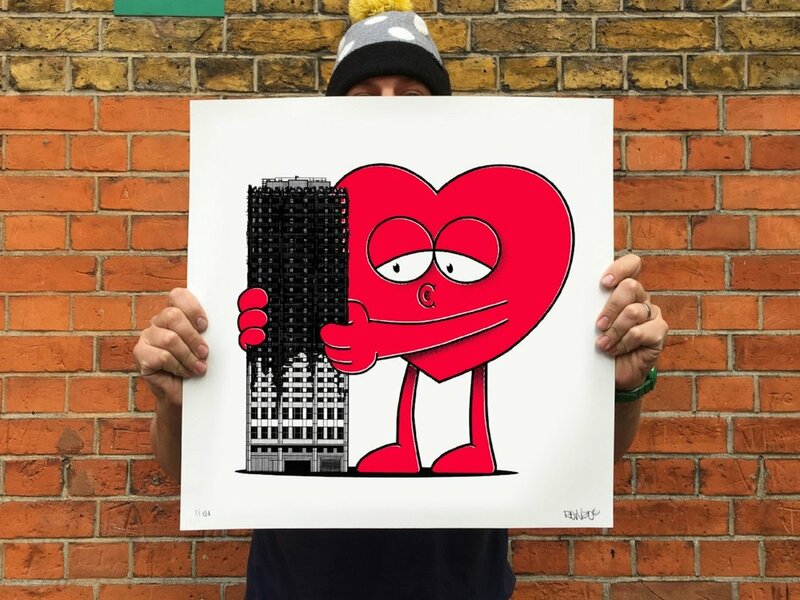 None more so than this from GCASFM collaborator, friend and street artist Ronzo; who has just launched a limited edition print to raise money for the families of the Grenfell Tower tragedy. 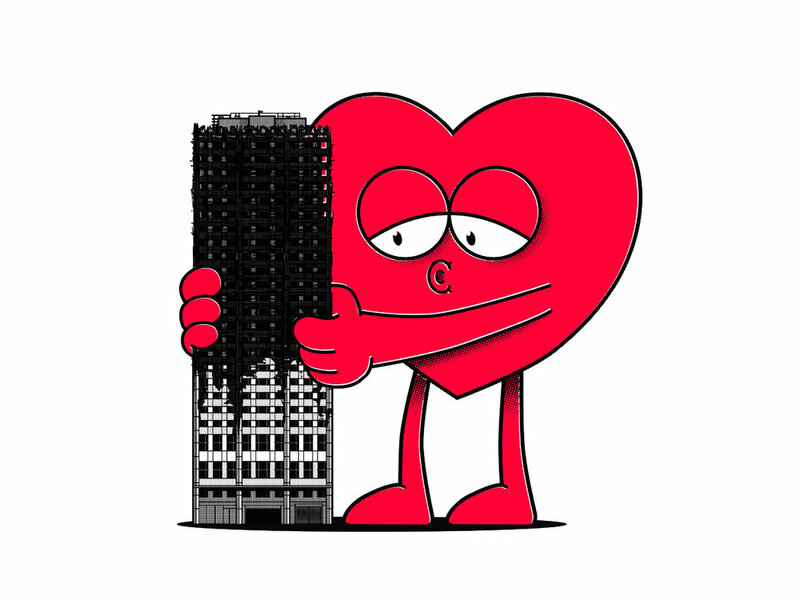 In collaboration with online platform ArtAppeal.org , Ronzo has produced a piece titled 'Hugs for Grenfell' a gentle, but equally thought provoking reminder as to the tragedy that destroyed so many lives in just a short amount of time, leaving behind a burnt out husk of a building as a heart wrenching reminder. ArtAppeal.org works with galleries and artists who donate art to their campaigns. The artwork then gets sold for a good cause. The current campaign raising money for Grenfell families is just one of their many past and future campaigns. 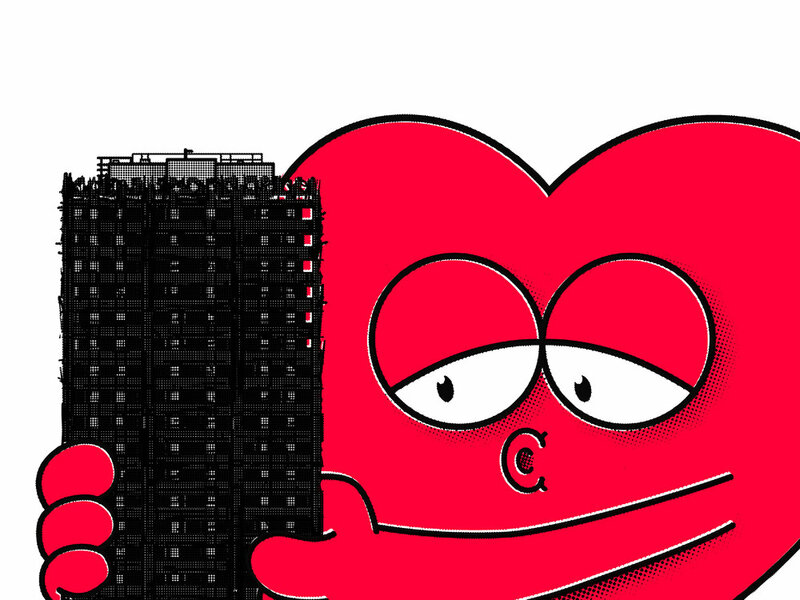 ‘Hugs for Grenfell’ by RONZO. All profits from the sales will go to the families of Grenfell Tower via local organisation ‘Love4Grenfell‘. This is the quickest and most effective way to reach those affected, while avoiding the long delays and administration costs of bigger charities. Over 10 weeks on from when the horrible event took place, the majority of the survivors are still in need of our help. (Read an article about this problem here) For a £25 donation you will get a fantastic art print. This is a great opportunity to combine your love of art print with donation money for a good cause.